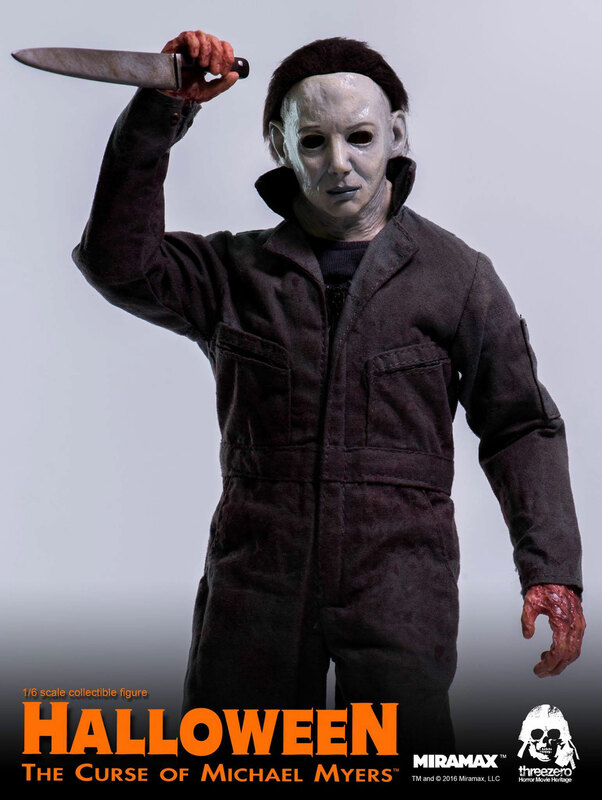 Hitting the collectible toy scene in time for Halloween is this sixth scale Michael Myers figure from Threezero for all of you horror flick freaks out there. 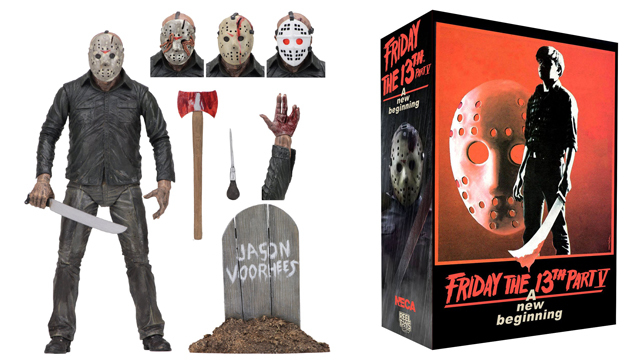 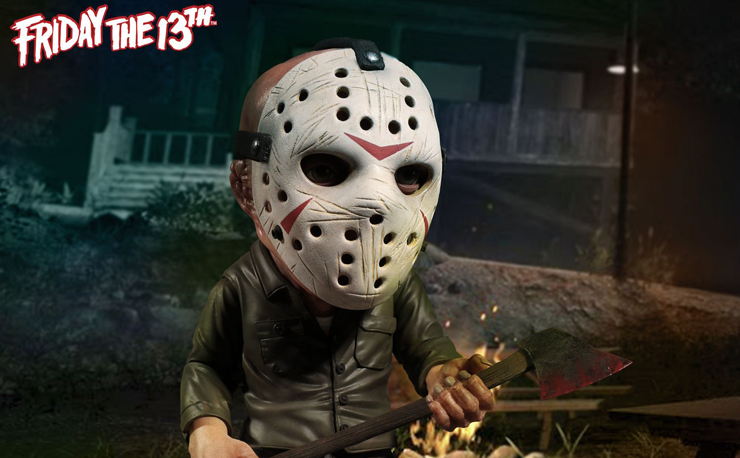 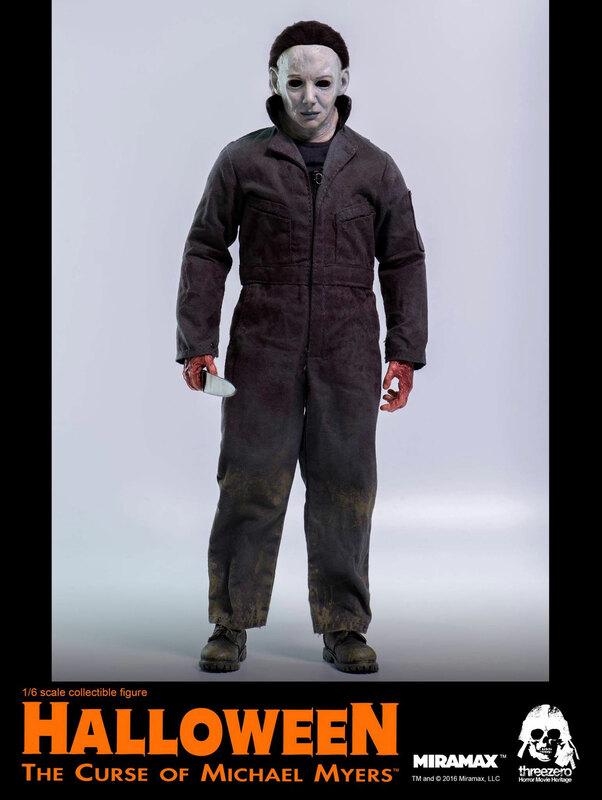 Based on his appearance in Halloween 6: The Curse of Michael Myers, this 1:6 scale collectible figure finds the Haddonfield slasher looking scary as all hell in his creepy white mask with rooted hair, overall work uniform (splattered up with bloodstains for gory effect), black t-shirt, faux-leather boots, two knives (one bloodied up for post-slicing style) and interchangeable hands (relaxed and grip). 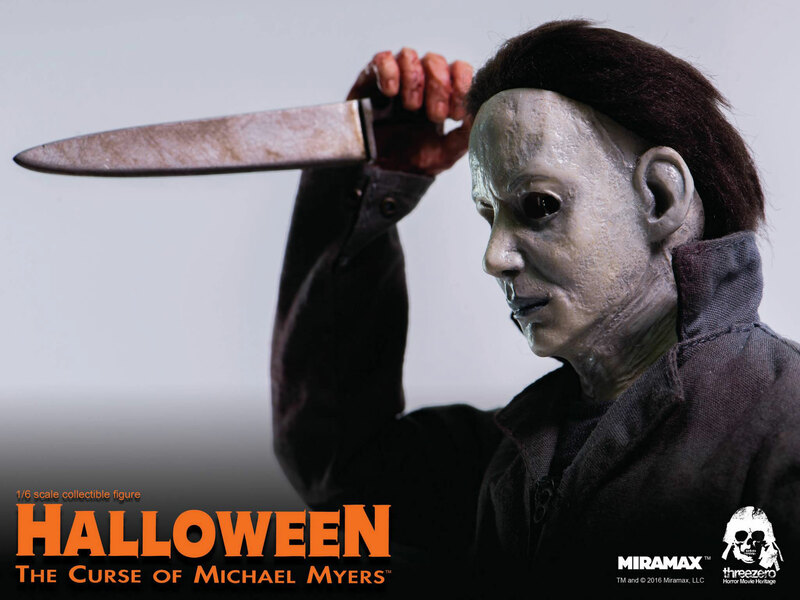 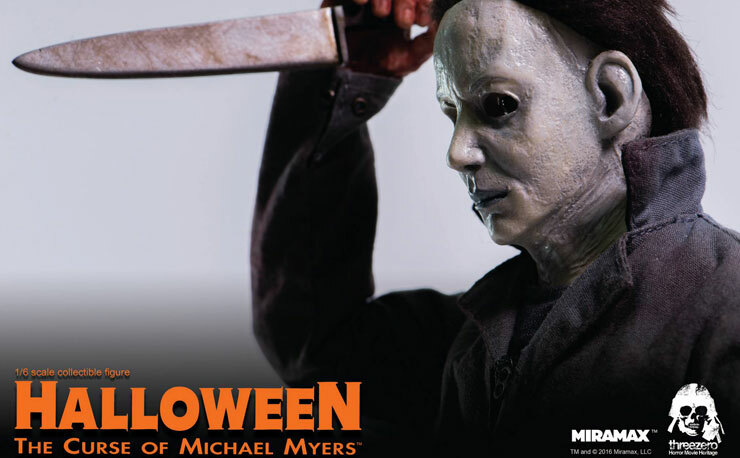 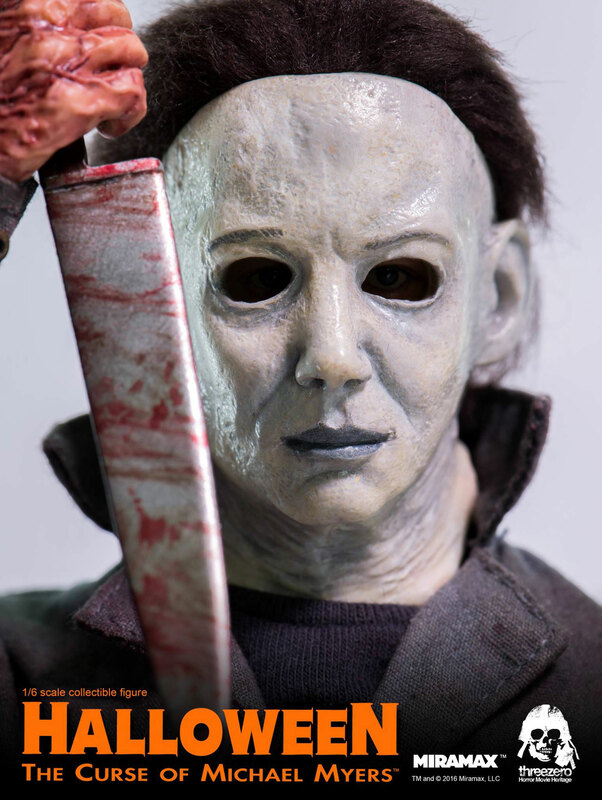 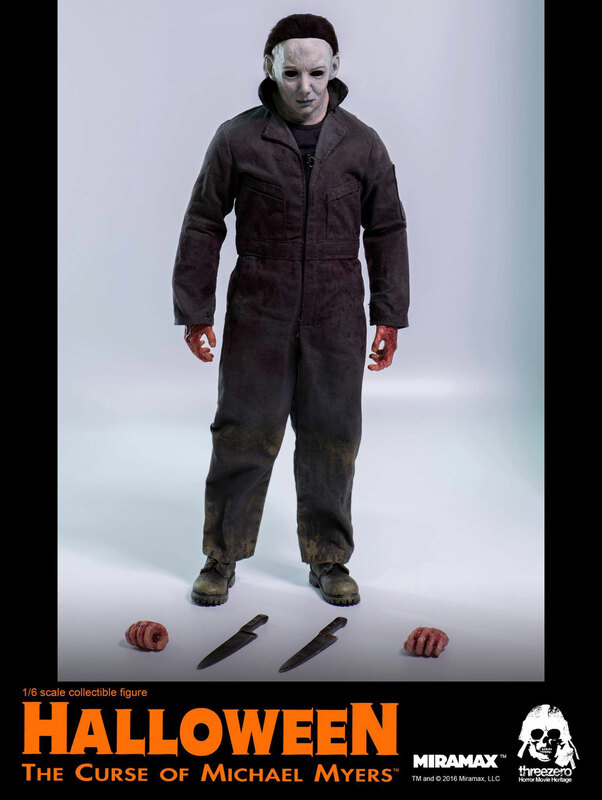 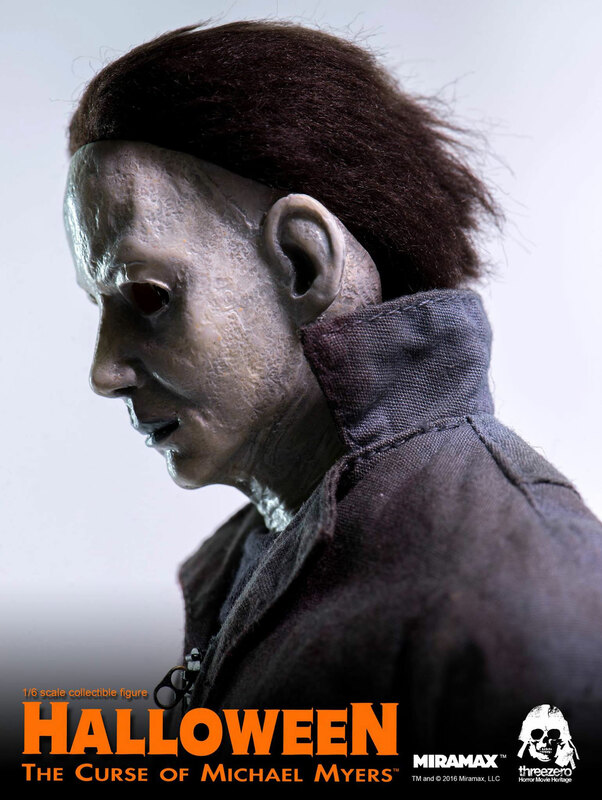 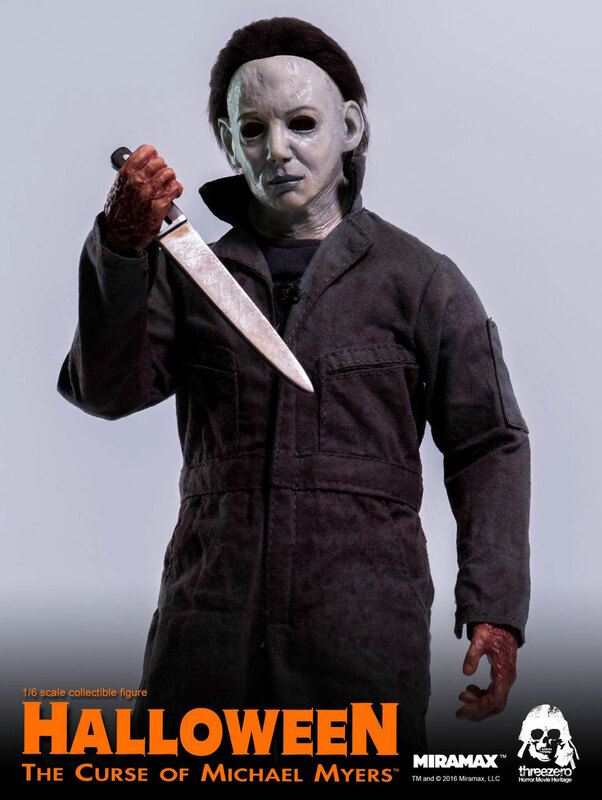 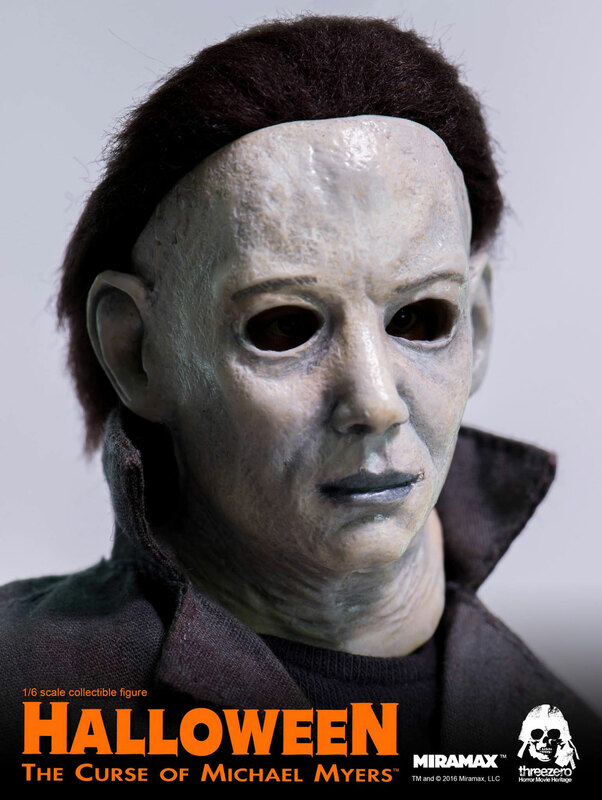 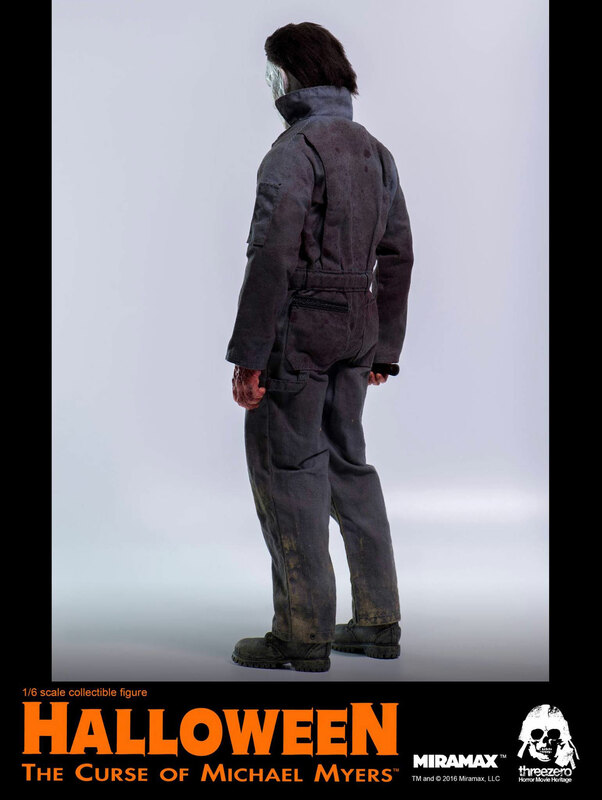 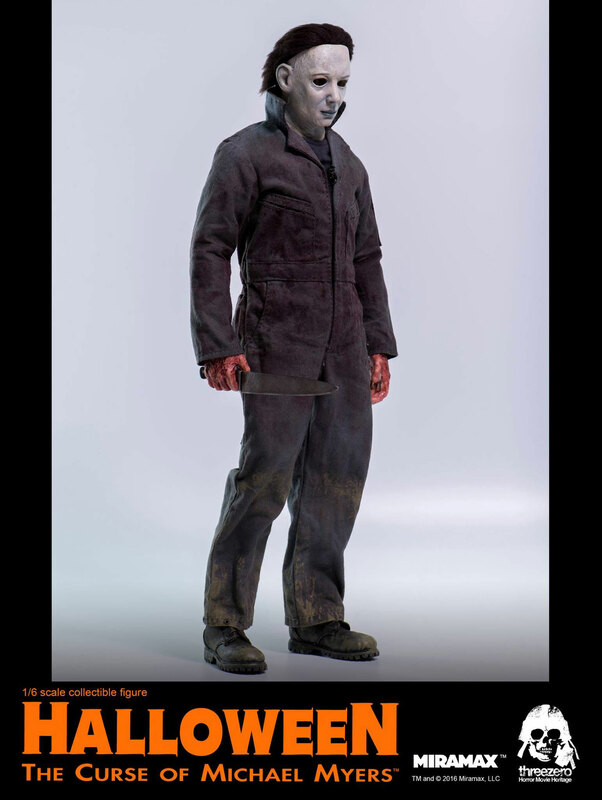 Need this Halloween Michael Myers sixth scale figure for your collection? 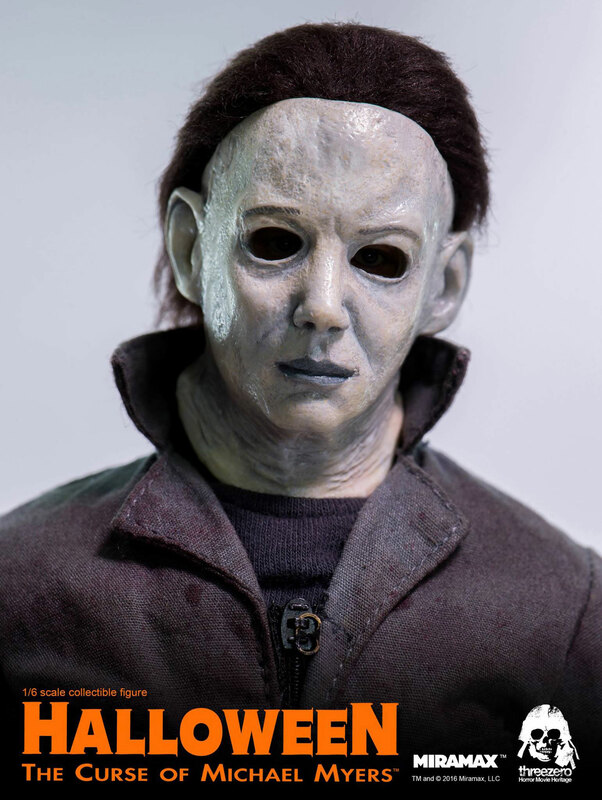 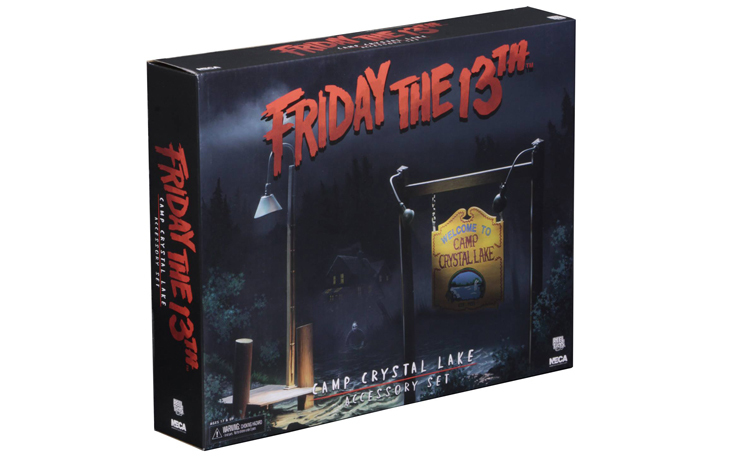 He’s available to pre-order here with arrival expected for August 2017. 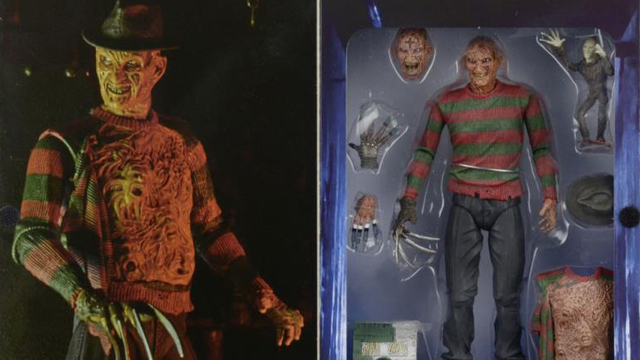 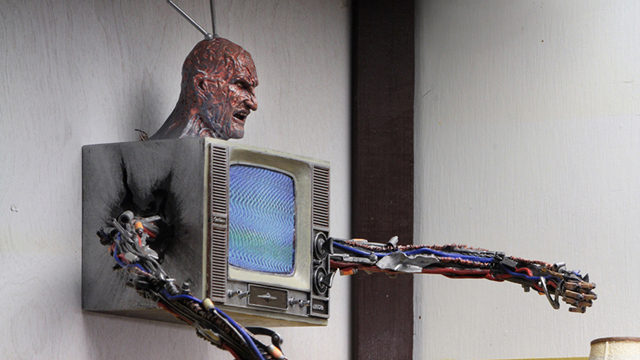 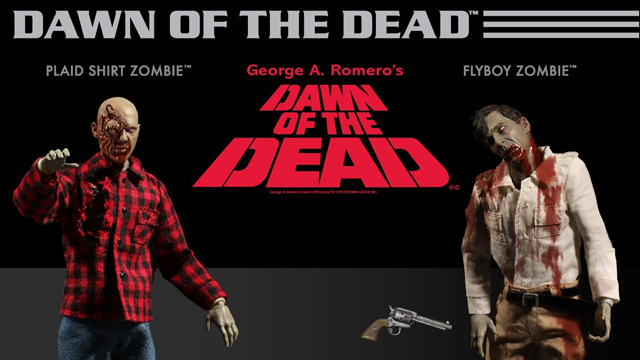 Take a closer look at the collectible figure by Threezero below. 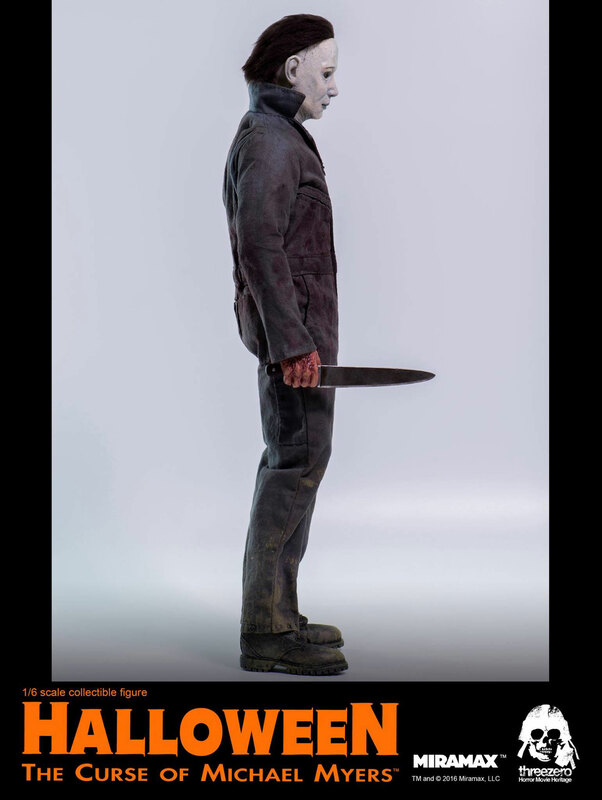 Click here to buy the Halloween 6: The Curse of Michael Myers 1:6 Scale Figure by Threezero.